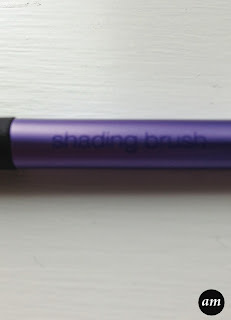 Today I'm going to be doing a review on the Real Techniques Shading Brush. I have also done a video of this review, so If you would prefer to watch it, scroll to the bottom of this post. First of all I love the design of this brush. I like how the top is a purple colour and is made from metal, but then the bottom is black and has a rubber feel to it. The white tips on the brush hairs really help you as you can tell when the product has washed off. 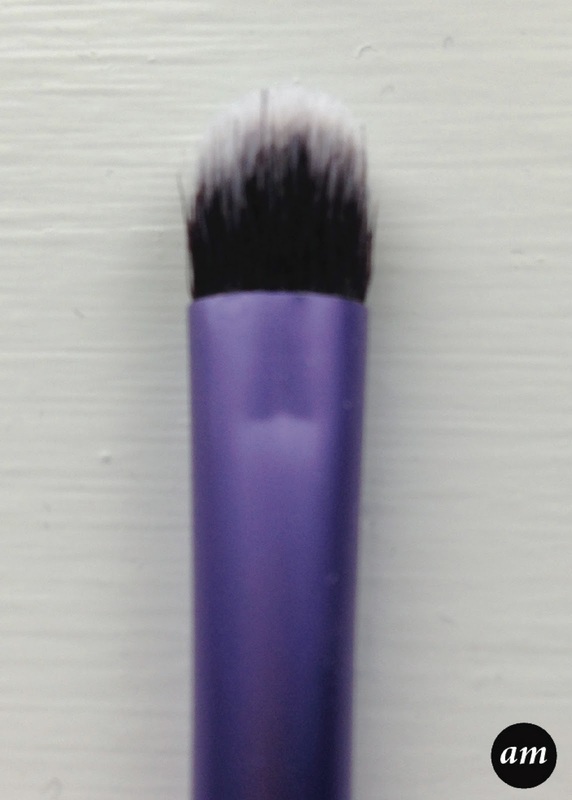 I also like how they have put the brushes name and the company logo on the side of the brush. The brush comes in a plastic box, which I like, but I don't like the artwork on the back of the box as I think it makes it look a little cheap... sorry! 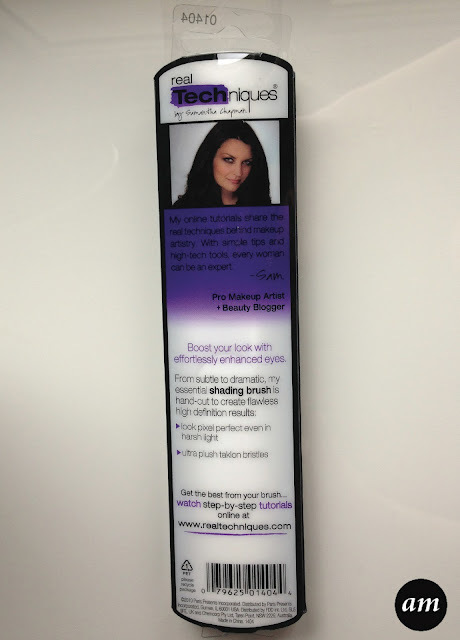 The brush hairs are really soft and apply products really well. I haven't noticed the hairs coming out when I deep clean the brushes either which is good. In terms of size, the brush is quite small, but I think the size is just right for applying eyeshadow to the corners of the eye and also shading. I prefer to use a bigger brush for the whole of the lid. The price of the brush is fairly cheap compared to other brands of brushes. It costs £6.99 at Superdrug and I would defiantly recommend it! 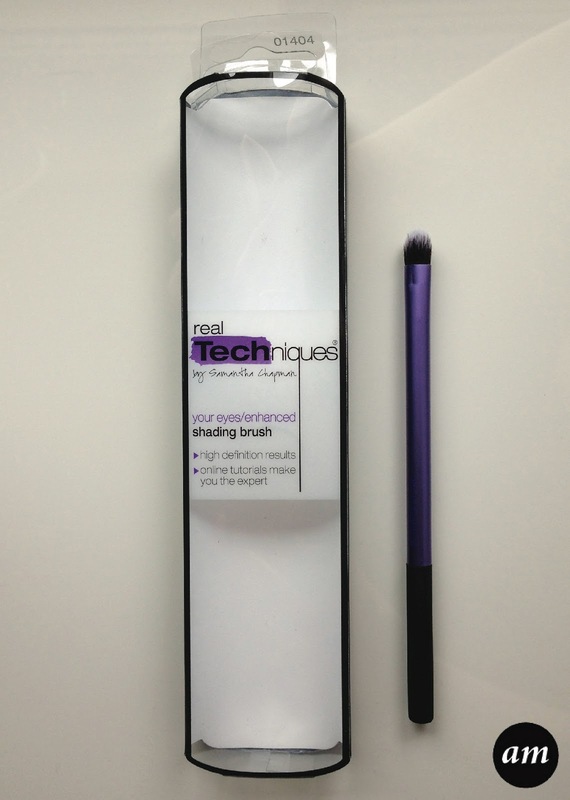 Did you see my review on the Real Techniques Stippling Brush?